Looking to buy some Chocolates for your kids? 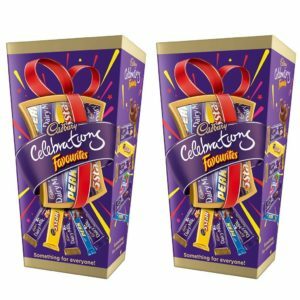 Buy Cadbury Celebrations Favorites Chocolate Gift Box, 180.3 gm (Pack of 2) at Rs 259 from Amazon. It’s flat 50% Off. So, hurry up!! and grab it fast before sold out!! How to buy Cadbury Celebrations Favorites Chocolate Gift Box, 180.3 gm (Pack of 2) at Rs 259?